During the recent UEFA European Championships held in June 2012, Spain’s coach Vicente del Bosque told the press before the semi-final against Portugal “We have two fewer days to rest than them. It is a small handicap”. “Three days’ rest is more than enough. The Spaniards claimed having two days is a disadvantage but, as a professional, I believe it is not an important factor,” replied Portugal’s captain Cristiano Ronaldo. Eventually, Spain defeated Portugal. In the same tournament, after the defeat of Italy in the final against Spain, Italy’s coach Cesare Prandelli said: “Really the only regret is that we didn’t have a few extra days to recuperate. You could tell right away that they were fresher physically”. The statements of Prandelli and del Bosque echoed coach Vince Lombardi’s famous quote: ‘‘Fatigue makes cowards of us all’’. Football is a physically and psychologically very demanding sport. In a match, each player on average covers a total distance of 9-12 km and performs approximately 1,350 activities, including about 220 runs at high speed. Besides running, other game-related and energy-demanding activities, such as dribbling, tackling and heading, contribute to the overall demands on the player (Bangsbo, 1994; Reilly, 1997). Here you can find properly football tactics analysis. In major European leagues, such as Spain, England, Italy, Germany, top club teams play about 60 matches each year, adding up matches for the national league, the national cup, Champions League or Europa League. In Italy, for example, top teams play matches for the Italian League (“Serie A”) – usually on weekends – and in the interval between league matches – on Tuesday, Wednesday or Thursday – these teams play international matches for the Champions League or for the Europa League. Furthermore, many players are also employed in matches played by their national teams. Given the high number of matches played in modern football, a crucial question for the “productivity” of players and the optimal organization of national leagues and international championships is whether teams are enjoying the necessary rest between consecutive matches. Most importantly, if teams are not well rested, the spectacle of football might be spoiled; the speed, the acceleration, the ability to dribble, to change direction, to score, are seriously impaired when players are tired. Second, if opposing teams enjoy different periods of rest the balance could be altered and the outcome of the match could be determined by this factor more than by their respective strength and their players’ abilities; the scheduling of matches would result more important than teams’ abilities. The role of fatigue has been almost neglected in the economics of sport literature. In a recent paper (Scoppa 2013) we investigate the role of fatigue in football using data on all the matches played by national teams in the most important international championships: the FIFA World Cup and the UEFA European Football Championship. These competitions – aimed at selecting, respectively, the best team in the world and in Europe – last about a month and during this period teams play a match every three or four days. Mainly with the aim of increasing TV audiences, matches in these tournaments are typically staggered on different dates and, as a consequence, opposing teams in knock-out rounds often enjoy different numbersof rest days. Exploiting these variations in teams’ days of rest, we relate team performance in a match – measured both in terms of goal difference and points gained – to the respective days of rests that teams enjoyed before the current match. We first use OLS regressing Goal Difference between team A and team B in a match on the Difference in Days of Rest between them. We find that the difference in rest has no impact on team performance. We also find that the days of rest enjoyed by a team tend to be positively correlated to the variables measuring team’s quality and to dummies for being the hosting country of the tournament, implying that – probably as a result of seeding and of the final rankings in group stage – stronger teams and the home team have a higher probability of enjoying more rest between matches. Therefore, to avoid any possible bias, we run some regressions relating Goal Difference to Difference in Days of Rest controlling for a number of variables accounting for team quality: number of matches played in the past tournaments in the World Cup or in the European Championship; number of points gained in these tournaments; positions in the FIFA World Ranking; dummies for being the hosting country of the tournament; dummies if the teams played extra time in the latest match, and so on. Whereas we find that team performance is strongly correlated to past outcomes in international tournaments and to the World Ranking and that the hosting country enjoys a considerable advantage, our findings always show that there are no relevant effects of having different days of rest on team performance. We find almost identical results when we use Points gained by teams, instead of Goal Difference, as a measure of performance. Furthermore, all the results are confirmed when we use alternative estimators (Ordered Probit and Poisson) instead of OLS. We also investigate the role of fatigue in a different context: we analyze the performance of Italian clubs in Serie A. A number of teams in certain weeks play Champions League or Europa League matches and then, after a few days, play national league matches. In other weeks, there are no scheduled UEFA matches. Comparing the performances of the same team in national league matches when playing or not playing a UEFA match in the same week, we find that on average teams do not perform worse if they have played international matches some days before. 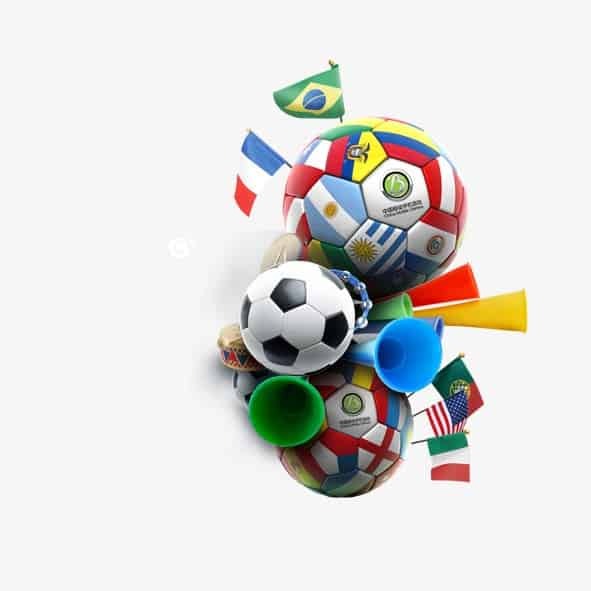 Our results imply that, notwithstanding several concerns of coaches, players and supporters, the current organization of major football international tournaments and national leagues, giving at least three days of rest between consecutive matches, is sufficient to preserve the “productivity” of players and the competitive balance between teams.